Our living quarters consists of the top two floors of a classic (&#8216;Jugendstill&#8217;) 5 story building built in 1910. Facing the south side, and located high up, we receive lots of sunshine, and the three balconies on the ground floor, and roof terrace, are designed to capture the sun as it moves from sunrise to sunset. The quarters provide the feel of a &#8216;bird&#8217;s nest&#8217; given its height and access to open spaces. There are two separate livable floors, each with its own bedroom and bathroom. The kitchen and living room are located on the bottom floor. There is in addition a guest bathroom, a laundry room with washer and dryer, a cellar for storage and a private garage for one car. The kitchen contains a microwave, refrigerator, stove, dishwasher and is fully outfitted with high quality cooking utensils. There is an outdoor BBQ grill on the roof terrace, which overlooks the lake and city of Zurich. We like hiking, swimming, golf, tennis, and various marine sports such as snorkeling, diving and especially surfing. We have already been to Argentina, US(San Francisco, Carmel), South Africa(Cape Town), Hong Kong, Australia(Noosa, Melborne, etc. ), Italy(Tuscany), Spain(Andalucia), Hawaii, South Pacific,Brazil(Rio de Janeiro), Costa Rica(Guanacastle), Caribbean, Eluthera, Ireland, etc. among other places but would like to to go back to these places to stay longer and also visit new places such as Lebanon. 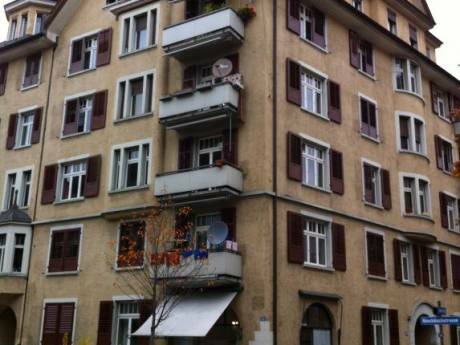 Our house is located in Zürichberg, what many consider as the best residential neighborhood in Zurich. 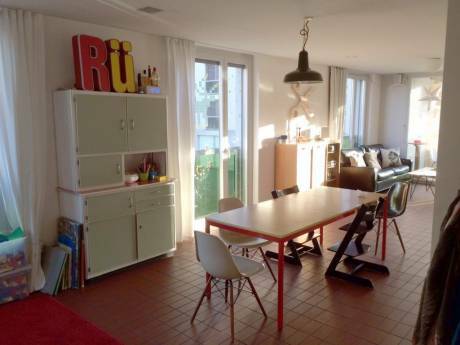 It is a a short 15 minute walk to the city center and situated on a quite street. Public transportation is efficient and located within a 5 minute walk. 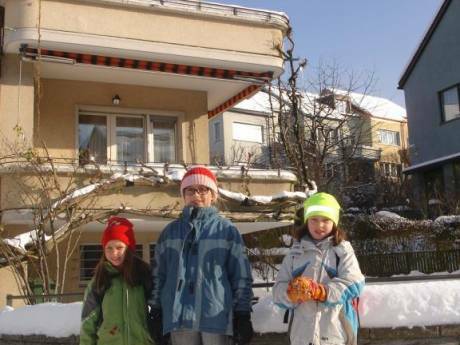 There are also jogging and walking trails just above our house located near the Zurich Zoo. We are located appr 15 minutes from FIFA&#8217;s worldwide headquarters.